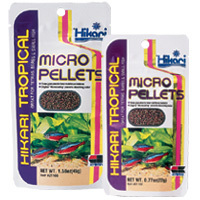 A semi-floating food, ideal for surface and mid-water feeders, that will not cloud your aquarium water. Contains red, green and yellow granules each with different indispensable nutrients your fish require. High in plant matter and dietary fiber which helps maintain healthy growth rates. Helps reduce stress while activating the immune system to reduce the chances of disease.